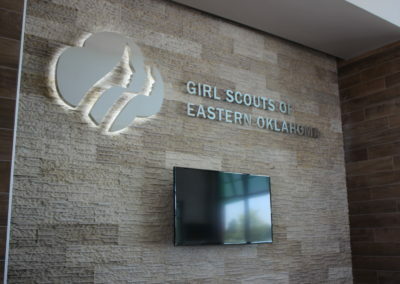 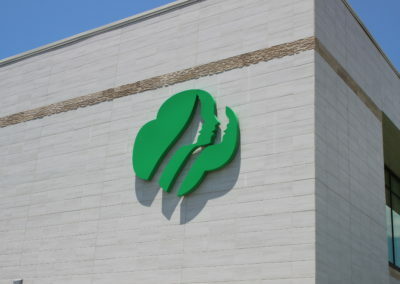 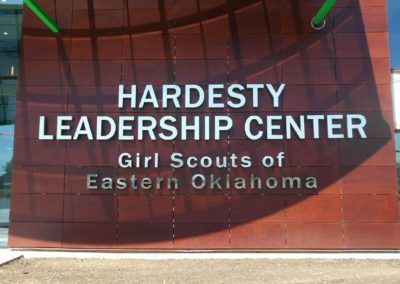 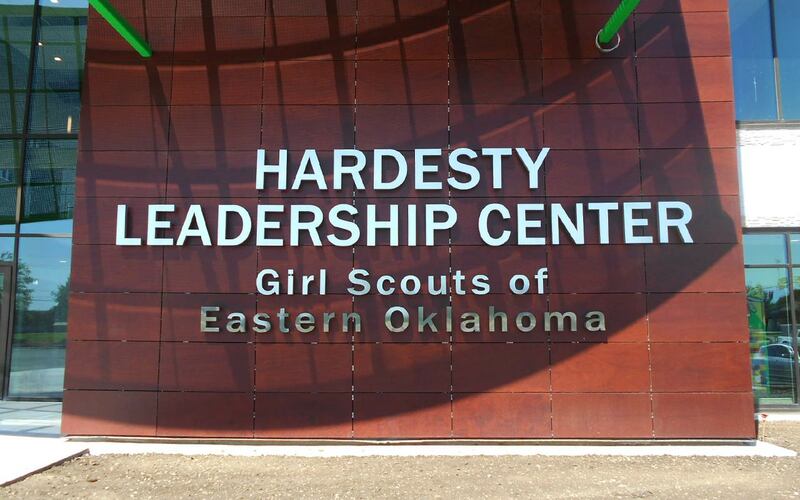 Girl Scouts – Eastern Oklahoma Headquarters in Tulsa. 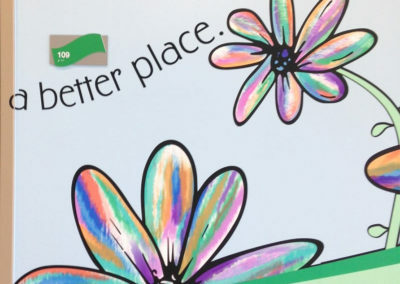 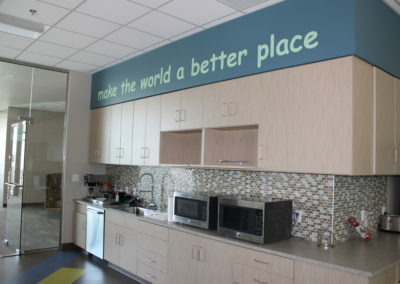 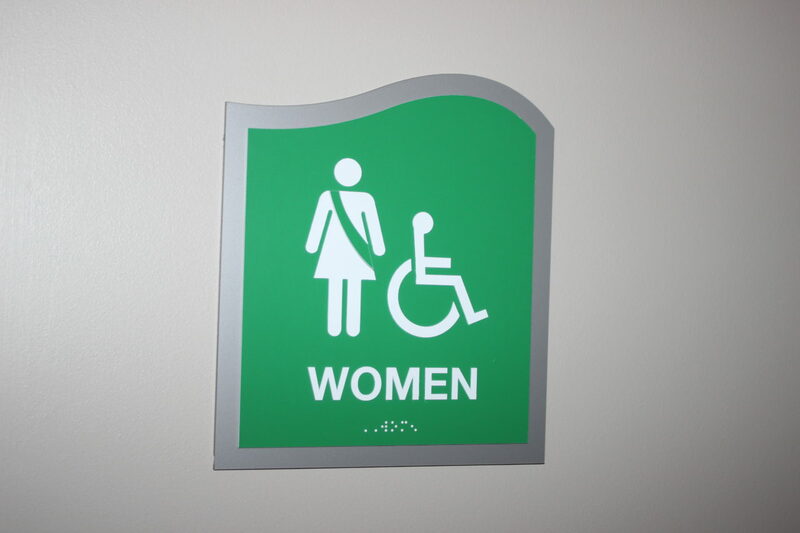 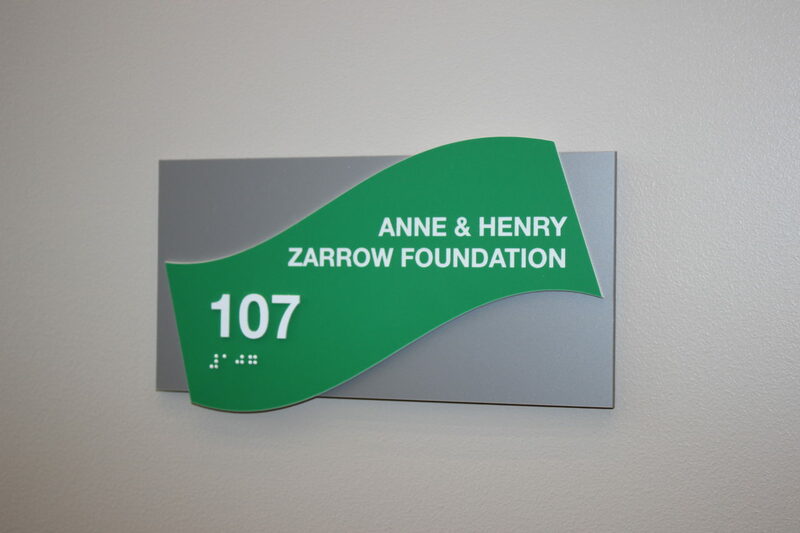 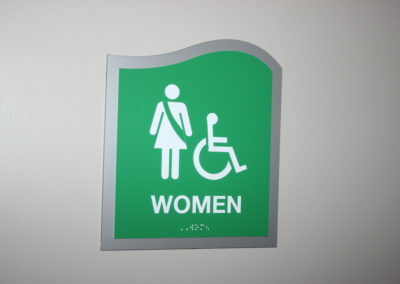 Amax handled the signage on this project from room i.d. 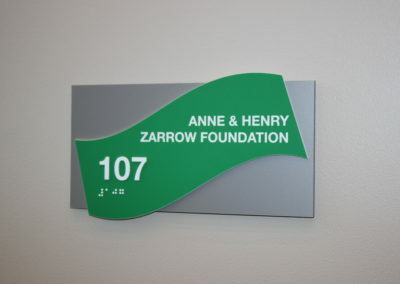 plaques all the way to the large exterior logo. 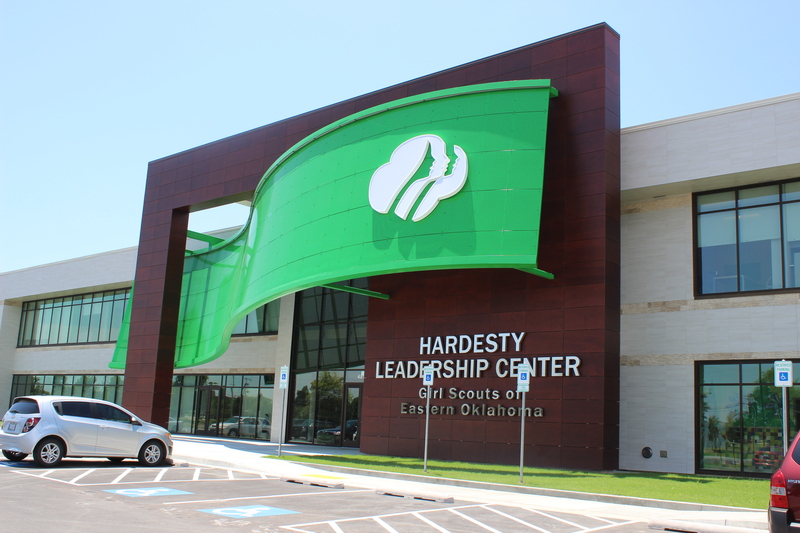 Given a concept from Beck Design we designed, fabricated, and installed all signage for this building. 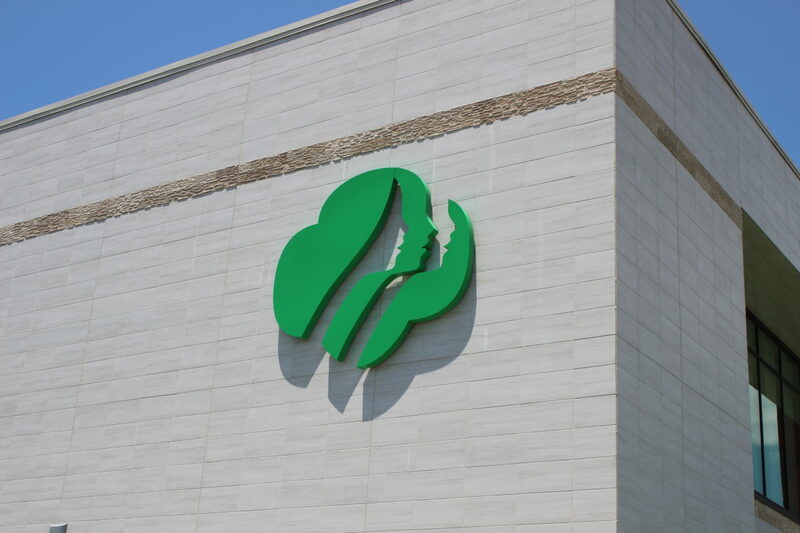 One of the stand-out features of this project includes the large exterior logo mounted to the ribbon facia. 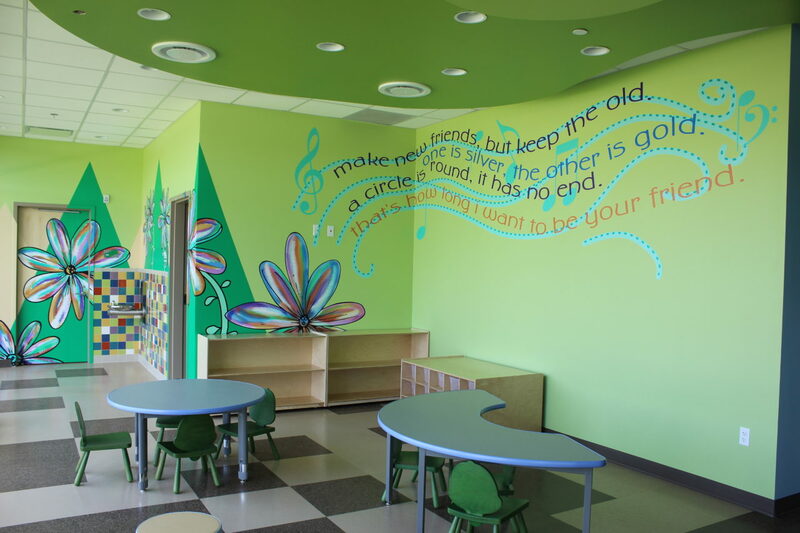 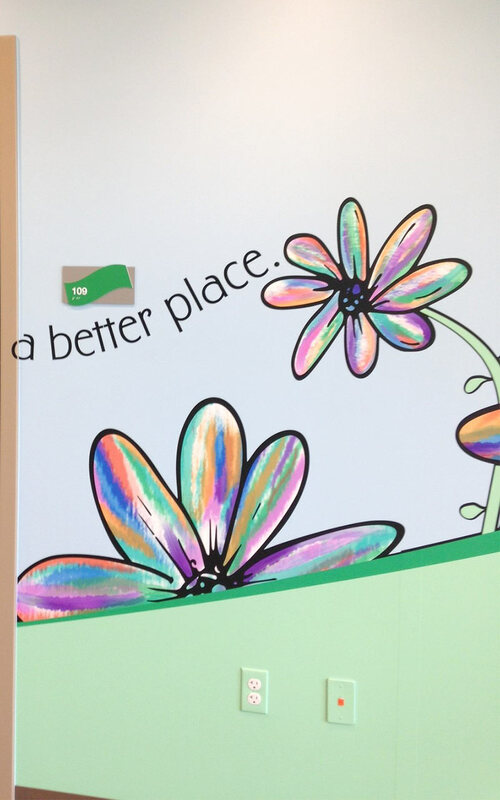 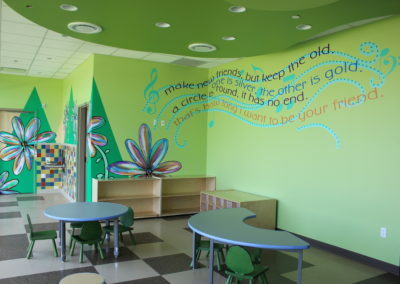 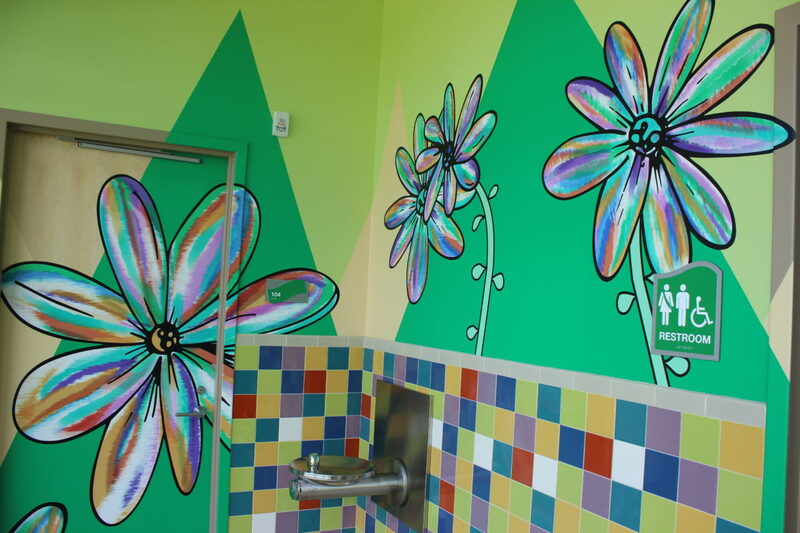 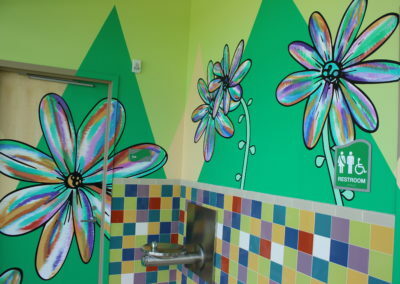 We also designed and installed a full wall mural on the interior. We even got a few boxes of cookies for a job well done.